Reminder: if your union hasn’t paid its affiliation fees to NTUC, please could you do so asap. Contact Bob Ansell at treasurer@ntuc.org.uk, who can email you a form. Dues are 20p a member. You might find the TUC directory useful for TC/Union contacts. This weekend, starting tonight: Diggers Festival Wellingborough: http://www.diggersfestival.org.uk/index.aspx. Recommend you go to hear Danny Dorling tonight. Amongst many other things he wrote an excellent book on housing. 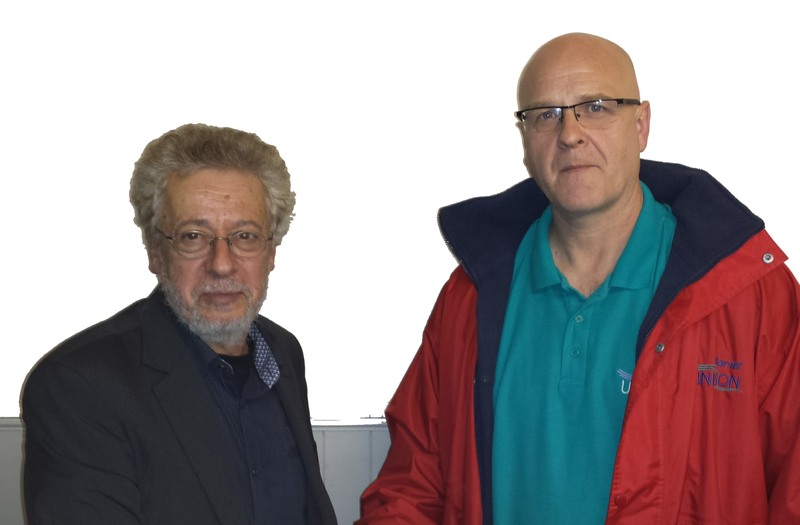 14th March: Next Trades Council meeting. 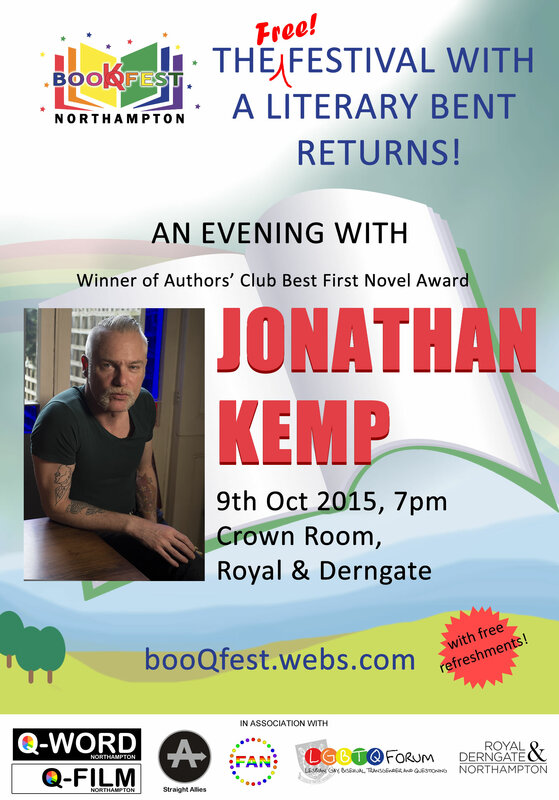 Jeffrey room, Doddridge Centre, 109 St James Road, NN5 5LD at 19.15 hrs. Please could delegates make every effort to attend and send apologies if they can’t. 16th March (Wed): Special screening of a movie called Boom Bust Boom (see http://boombustclick.com/#thefilm-section) Terry Jones (Monty Python) mixes expert insight, animation, puppetry and song to explain economics to everyone. Why do crashes keep happening? Why are students taught crashes do not happen? Will we ever learn from our mistakes? Co-written by Theo Kocken, entrepreneur and professor of risk management. With contributions from Nobel Prize winners Daniel Kahneman, Robert J. Shiller, Paul Krugman, journalists John Cassidy and Paul Mason, actor John Cusack and the rhesus monkeys of Puerto Rico. 6pm, room C119 (may move to a larger room if demand is high) Park Campus. 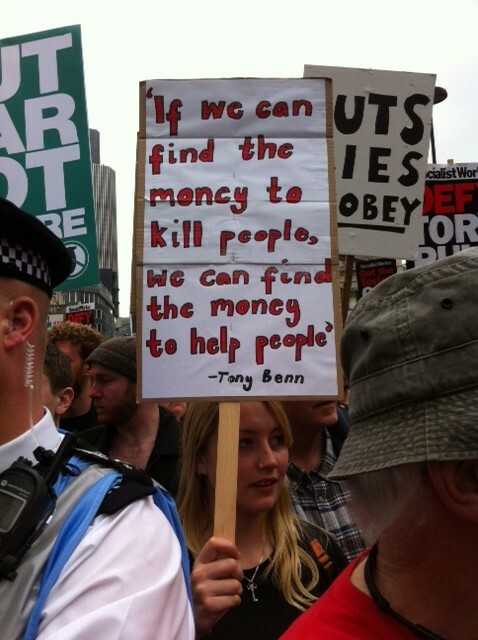 16th April (Sat) People’s Assembly March/Demo for Homes, Health, Education and Jobs. Go to the events page via http://www.thepeoplesassembly.org.uk for details. If anyone is organising a coach let me know and I can advertise it. John Burgess, Barnet UNISON Branch Secretary, led a discussion of how trade unionists and community residents can organise to combat councils’ attempts to outsource public services. 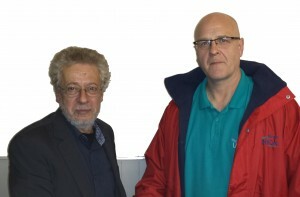 Drawing on the experience of the London Borough, where since 2008, many public sources have been outsourced or privatised, John cited examples of campaigning activity, including holding stalls, petitioning, speaking at council meetings, grilling councillors with questions and political action aimed at unseating Tory councillors.The 25 who attended the meeting resolved to meet in the near future to build a movement in Northamptonshire to contest NCC’s plans to outsource a range of public sources to Community Interest Companies. The Northampton ​TUC secretary has reserved a room at the Doddridge Centre on Wednesday 7 October at 7:15 for the meeting to kick start a campaign against outsourcing of NCC services. Feel free to spread the word to colleagues, neighbours and friends, since the Barnet campaign took off when they involved not only trade unionists but community residents also. Travel – it’s a bit late to book coaches now – details have already been circulated. If you want to attend the TUC demonstration at the Conservative Party Conference 4th Oct, there is NUT transport available from Northampton or Kettering. Please contact Gordon White for further details: Email – georgecharles1895@icloud.com by the end of today (Friday). 4 October join Defend Council Housing in a housing contingent on the big TUC People’s Assembly march in Manchester. The DCH Contingent assembles 12.30pm by the National Computing Centre, Oxford Rd, M1 7EF. Also the People’s Housing Conference 10 October 10-5 at Friends Meeting House Euston Rd in London, will bring together tenants, trade unions and housing activists. DCH with Unite the Union, the People’s Assembly and many others are collaborating to build on the growing housing movement. For details and to book see The People’s Housing Conference. And housing and health campaigners will join protests 21-23 October in Olympia, West London, when developers gather to buy up public land: see more information and leaflet here. And pass this statement against means testing by Councils and housing associations – see model resolution. At Irwin Mitchell, Imperial House, 31 Temple St, Birmingham, B2 5DB Tues 13th October. refreshments and AGM at 6.15, followed by Speaker on Cancer- causing substances in the workplaces by Hilary Cross, industrial toxologist. This newsletter covers several areas of interest to Trade Unionists. Please look at the calendar of events on the previous newsletter as well as reading this one. Petitions are going to be presented at the Borough Council Meeting on 21st Sept. One is an ePetition, which urgently needs to be supported. 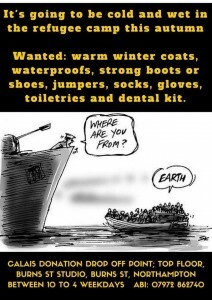 Please sign it – it only takes a minute. There is also a paper version which you can print out and put up at work. See previous NTUC letter for the link and details. 12th September Sat Stall to get signatures on the petition in town 11.00 at the Cobblers Last Statue. 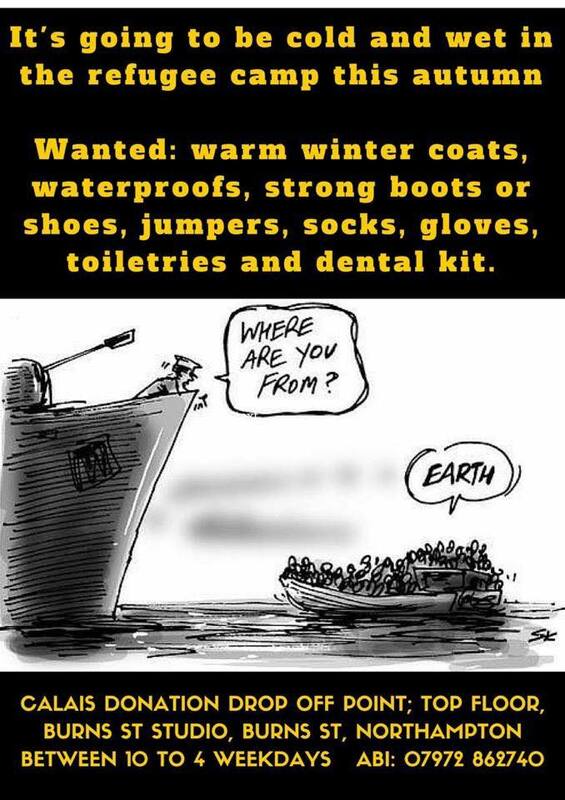 We still need extra people to help out. Contact secretary@ntuc.org.uk. This Bill will affect all union members, so it is really important to circulate details to everyone in your workplace asap. Looks as if there will be a good number of top speakers. After a lively meeting on the pros and cons of the EU, it has been decided that the next meeting will discuss the results of the Labour Leadership election and think about ‘where to now?’ The provisional date and location are Tuesday 22nd Sept at the Sheep St Working Men’s Club. More details to be announced. 12th Sept: NTUC stall in town against the TU Bill. 11.00 Abington St Cobbler’s Last statue. Please let Graham know if you can help out secretary@ntuc.org.uk. 22nd Sept: Regional Public Rally against the TU Bill and Austerity, 7pm Church Room, Carrs Lane, Birmingham, B4 7SX. See here for poster and details of speakers. 24th Sept: Full NCC Council Meeting 10.30. NTUC hopes to give the petition in again (see 21st Sept). 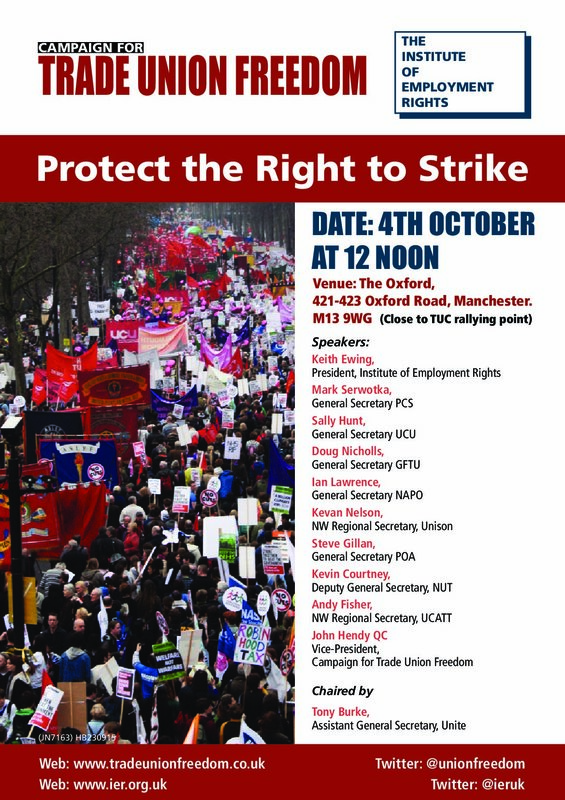 3 – 7 Oct: TUC and People’s Assembly events at the Conservative Party Conference, Manchester. See PA website for info including accommodation, transport and comedy night. Events timetable. TUC March and Rally on 4th, assembling at 12.00 at Oxford Rd for a rally at 1.00 and the march at 1.30. Local transport – does anyone have details of coaches? If so please contact me sarah@ntuc.org.uk and/or Graham at secretary@ntuc.org.uk. 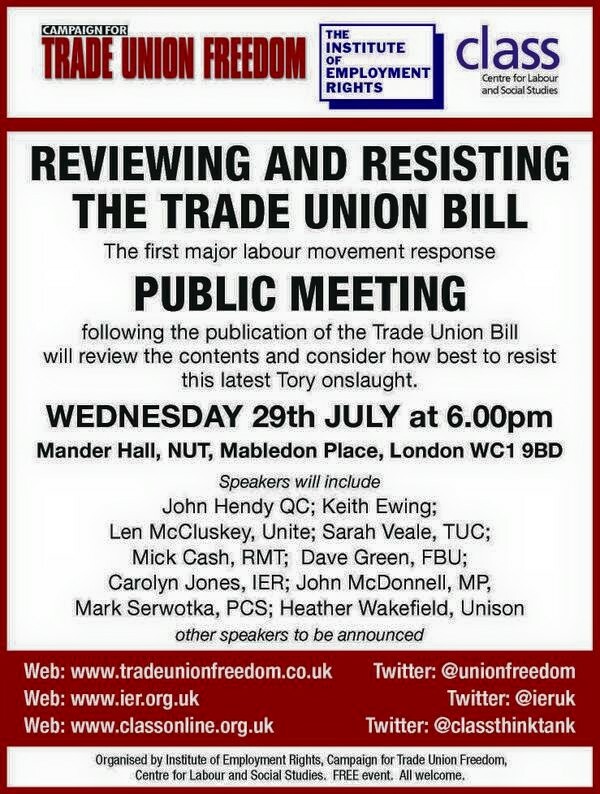 Lots more info on the PA’s website and the TUC. At the time of writing, beware – I think the events tab on the PA site has been hacked, so don’t click on anything suspicious. My links still worked. 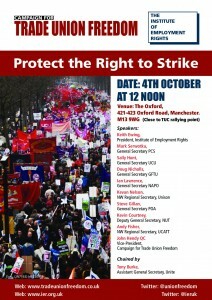 2nd Nov: National Lobby of Parliament Protect the Right to Strike. More details to come. Trade unionists, grassroots activists & their families are supported at the Ron Todd House by providing practical solidarity in the form of food, washing facilities, a place to stay etc. We are seeing up to 30 trade unionists and their families a week seeking help and over the summer holidays we have been distributing hundreds of packed lunches each week to trade unionists who are struggling to make ends meet during these times of austerity. Community Court Yard is aware that 1 in 5 young people in Northamptonshire are living in real poverty and through the Ron Todd Foundation, we are already planning for Christmas. We estimate that we will be distributing around 150 Christmas hampers to support those trade union members who will not have the financial resources to provide food and heating over the Christmas period for their family. Family is extremely important, which is why we are asking our trade union family to support us in the task to give our brothers, sisters and their families an easier Christmas this year. We are asking trade union branches and activists to consider supporting this cause by either affiliating to the Ron Todd Foundation or to make a donation to Community Court Yard specifically for this project. To affiliate to the Ron Todd Foundation or to provide a solidarity donation Account Number: 20332635, Sort Code: 08-60-01, Account Name: Ron Todd Foundation. Contact Community Court Yard direct: shout@communitycourtyard.org, 07925730772, Ron Todd House, 41 Lea Road, Abington. Northampton, NN1 4PE (note change of email address). Thanks to Cas Hawkins for the photos. Here’s an extract from Ron Mendel’s account, to give you a flavour. The march was huge, well over 200,000 participants, and consisted of entire families, young and old, and every movement for social justice and peace one can think of. More important perhaps than the breadth of support was the espirit de corps of the participants – buoyant, defiant and committed. Talking to a number of marchers (not only my family ) I was encouraged by our shared sense of purpose which a national demonstration of this size and scope can reinforce. I think I do not just speak for myself that we feel more energised, inspired and committed to building a mass movement against austerity. Of course, that means some of the demanding work needs to be done locally, and towards that end hopefully we can initiate the process of forging an ecumenical coalition of activists and others in Northamptonshire. Unite workers have won a great victory with a disciplined and well organised approach. Click Smurfit Kappa for report. Thanks Craig for the info. 15/16 August Umbrella Fair. NTUC will be having a stall both days. Please contact Graham Croucher at secretary@ntuc.org.uk if you want to be involved and/or do a stint on the rota. 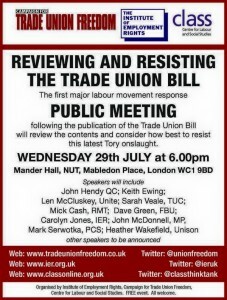 The NTUC focus will be on basic TU recruitment and building for future meetings against Austerity. We will also distribute the Vision For Northampton Leaflet. CANCELLED June 15th: Trades Council 7.15 Dodderidge Centre, St James. Now 22nd June. July 3: Action Mesothelioma Day. Service at St Martin’s cathedral 7, Peacock Lane, Leics, LE1 5PZ 2pm, followed by strawberry tea. To book places contact Derbyshire Asbestos Support Team 0124638041? Hi everyone, I am hoping to get back to more regular newsletters. What I will try to do is shorter but more frequent ones, though this happens to be a bit long! I have done it in a rush, so apologies for any mistakes – let me know if you spot one. Sat 2nd May: Hoping to have an NTUC stall in town to give out the leaflet A Vision For Northampton (‘Vision Final‘) This will be at 11am just by Burger King on the market square. If you can help let me or Ron know. Leaflet folds into 6 little pages. Please print it out for distribution or display or send round the pdf. We have had some very favourable responses and will be doing a longer pamphlet for the autumn covering more areas. Friday 8th May, Cuba Solidarity Campaign event at the NN Cafe opposite the museum in the town centre. With exciting recent developments in Cuba, CSC Northampton is pleased to invite you to a special fun evening celebrating Cuban culture with music, dancing, cocktails and snacks. Tickets are limited so please advise your requirements as soon as possible. For tickets and more information please contact cubasolidarity.northampton@gmail.com. All proceeds from ticket sales will go to funding activities to raise awareness and there will be a separate raffle raising money for the Music for Cuba fund. 16th May: Northants Red Rope trip to Levellers’ Day, 16th May 2015, Burford. Levellers Day, marking the execution of 3 Leveller leaders in Burford during the Civil War, is on 16th May from 10.30. It includes a speakers’ event and a short parade through the village – guaranteed to annoy the Tories in this, Cameron’s constituency. We finish the day with a circular Red Rope walk along the Windrush river, past the remains of an abandoned medieval village and on through attractive Cotswolds countryside (moderate 4-5 miles). The 2015 theme for the day is Education. The speakers are: Melissa Benn – Journalist and writer, Kevin Courtney – Asst Gen Sec, National Union of Teachers, Danny Dorling – Radical social geographer and Professor of Geography at Oxford University, author of a recent book on the UK housing crisis. 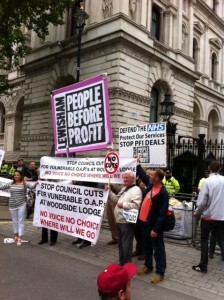 13th June: Defend Council Housing, 11-4.30pm at Bloomsbury Baptist Church Hall in central London.Tenants and housing campaigners are meeting to spell out how we will win our demands after the election. Sessions on What Next for March for Homes, the Tenants Manifesto, Anti Benefit Cuts campaigns, trade unions and housing, private renters and rent control, and the Fight for Council Housing – against demolition, sell off and privatisation. Get your tenant group, trade union or community organisation to come along. For more details and leaflets contact info@defendcouncilhousing.org.uk. More details on their site as well as other stories. Unite: Second wave of strikes over Bromley council’s mass privatisation – Bromley council’s plans to carry out a mass privatisation of services are being challenged by members of Unite with a second wave of strikes. 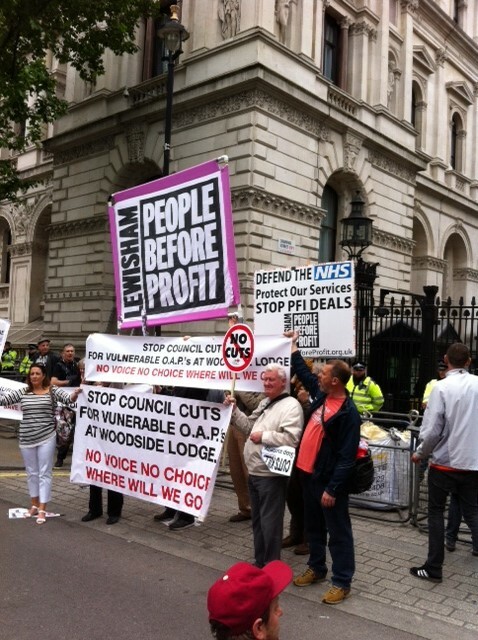 The selected strikes from 27 April to 19 May dovetail with the stand of the council’s Labour group which has accused the Conservative-dominated authority of being ‘openly committed to being a ‘commissioning council’ and to reducing the number of council employees from 4,000 to 300’. Unite’s selected strike action will hit libraries (27 April-30 April); the parks (5 May); strikes by all the branch members, except school staff, on 1, 7 and 19 May; and at the Astley care centre and the passenger services (13-19 May). Unison: UNISON members who still work for Barnet Council (excluding schools staff) will be taking strike action on Thursday 30 April & Friday 1 May – The dispute will involves coach escorts, drivers, social workers, occupational therapists, lschools catering staff, education welfare officers, library workers, children centre workers, street cleaning & refuse workers, all of whom have made it clear they want to remain employees of the Commissioning Council.